At Climate Care Air Conditioning & Heating, we specialize in residential air conditioning repair for homeowners throughout the North Dallas area including the cities of Carrollton, Coppell, Flower Mound, Highland Village, Irving, Lewisville and Valley Ranch. With over twenty years of experience in the North Dallas HVAC industry, we realize you have literally hundreds of choices when choosing your "AC repairman." What set us apart from the rest? We offer fast, same-day service (in most cases) - At Climate Care Air Conditioning & Heating, your comfort is our first priority! We will make every effort to keep you out the Texas heat and repair your ac as soon as possible. Fully stocked trucks - Our fully stocked trucks allow you to get your air conditioner repair completed right after diagnosis; eliminating the time you spend without the comfort of your air conditioner. 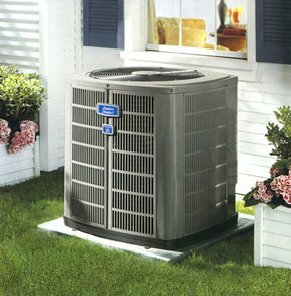 Expertise in residential AC units - Though we are American Standard customer care dealers, we can service all makes and models of air conditioners, including Carrier, Bryant, Payne, Ruud, Lennox, Trane and more. We can also repair older models. Expertly trained, licensed technicians - Each one of our technicians are fully licensed by the state of Texas. In addition, each member of the "Climate Care Team" has been hand-selected by our owner and undergo routine drug-screens and background checks prior to employment. Competitive, flat-rate pricing - Here at Climate Care Air Conditioning & Heating we are committed to remaining affordably priced. Including a variety of money-saving coupons and our financing option through Wells Fargo, we have total comfort easy. We are also happy to accept all major credit cards for your convenience. We will arrive in a fully stocked truck, wearing a clean uniform. We will perform a complete system evaluation to determine why your system is not working properly. We will explain to you what we found along with a list of options. Once the problem has been diagnosed, our technician will explain to you what they found and recommend various solutions, including costs and time needed to complete your air conditioning repair. Climate Care Air Conditioning & Heating is also happy to provide free second opinions on major air conditioning repairs. This is a wise option to take before committing to a major repair expense. We will send out a highly trained, HVAC technician to perform a complete diagnostic on your AC system and then provide you with a competitive quote. Over the years Climate Care Air Conditioning & Heating is proud to have remained a leader in the air conditioning repair industry. We are a family-owned corporation whose focus is on providing fast, dependable service to our customers. We are committed to fixing your system right the first time. Our technicians are dedicated to excellent customer service and making sure we exceed your expectations on every job that we perform. If you have any questions or would like to schedule a service call, please do not hesitate to call Climate Care Air Conditioning & Heating at 972-353-5257. For your convenience, feel free to request services from this site.